A classic clutch from Kit and Kaboodal. Height 14cm, Width 22cm, Depth 2cm. 100% Synthetic Leather Look Material. A Classic clutch from Kit and Kaboodal that you need for your night out. 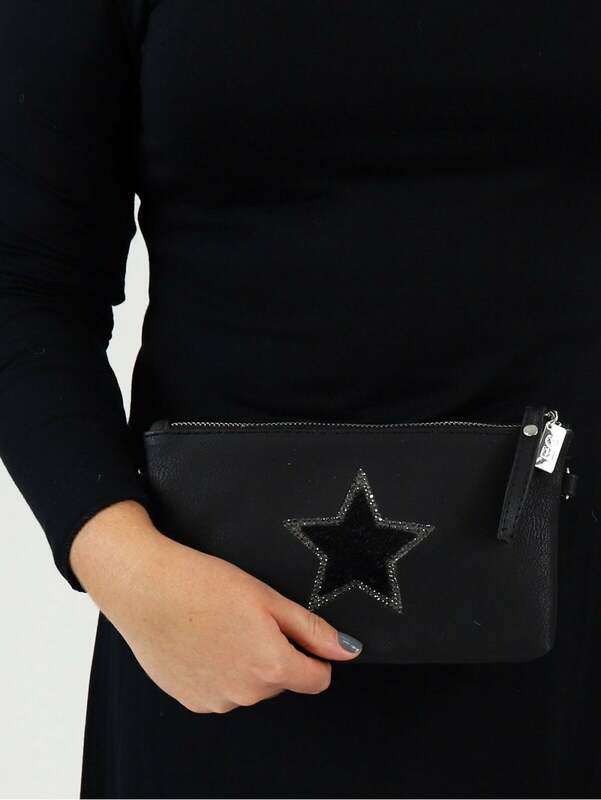 The Kit and Kaboodal Mallory Star Clutch features fur effect star detailing to the front and has a secure zip fastening. We love the detachable strap so you can make it a shoulder bag!